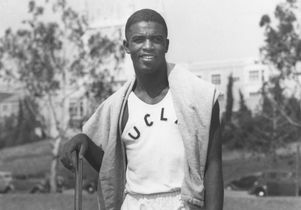 Jackie Robinson, who lettered in four sports at UCLA, went on to a groundbreaking career as an athlete and activist. 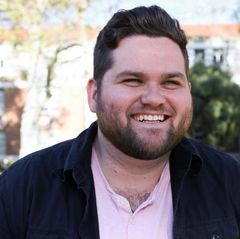 Updated Jan. 28: To accommodate interest, the panel discussion about athletes and activism has moved to Schoenberg Hall and those interested in attending can sign up here. A panel discussion highlighting athletes, social justice and activism, and the legacy of Jackie Robinson will be held Tuesday, Feb. 5. 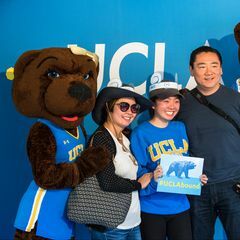 The event will feature UCLA alumna and ESPN anchor Cari Champion; former Minnesota Viking, LGBT activist and Deadspin contributor Chris Kluwe; Patricia Turner, vice provost of UCLA undergraduate education and professor of African American studies; and Kaiya McCullough, a UCLA women’s soccer player and activist. It will be held in Schoenberg Hall inside of the Schoenberg Music Building, beginning at 5:30 p.m. (RSVP here). 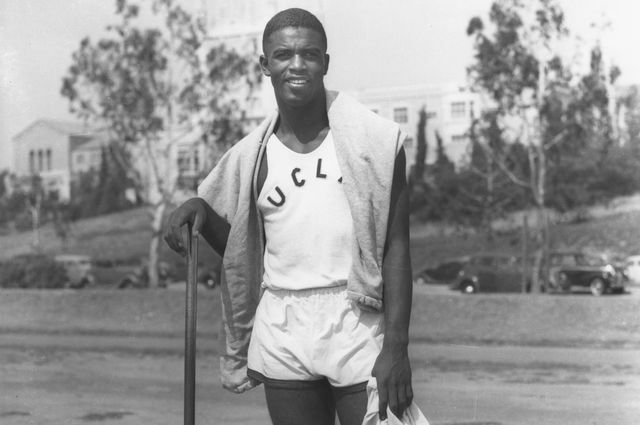 Jackie Robinson in his UCLA track uniform.